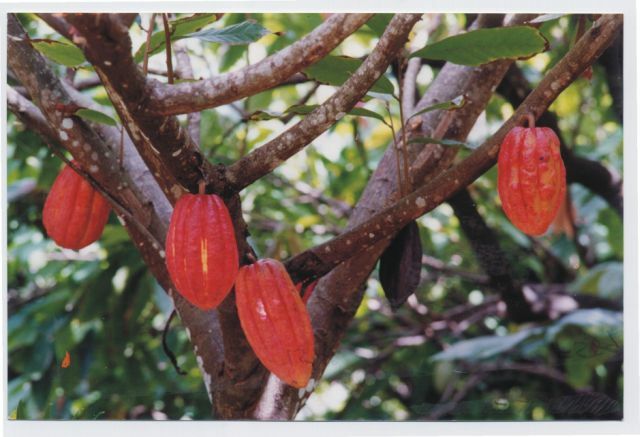 There are three general categories of cocoa varieties: the Forasteros, the Criollos and the Trinitarios. The Forasteros and Criollos are the original types while the Trinitarios were created when the two crossed accidentally in Trinidad. Because the Forasteros are generally heartier and less disease prone than the Criollos and the Trinitarios, they were chosen to introduce in equatorial Africa, who became the world’s main producer. Forastero cocoa beans have a plain and basic chocolate flavor, known as “bulk” cocoa while Trinitario and Criollo cocoa beans have more complex flavor, known as “fine-flavored” cocoa. Trinitarios developed to be heartier than the Criollos but also retain their special flavor qualities. Criollo and Trinitario cocoa beans now represent less than 10% of the world’s cocoa. The straight-forward chocolate flavor and low price associated with the Forasteros is preferred by milk chocolate makers. The Criollos and Trinitarios contain extra flavors, embellishing their extra strong chocolate flavor and making them preferable for dark chocolate. Grenada grows these rare and special varieties giving our chocolate deep flavor with extra notes that can be reminiscent of fruits and flowers. 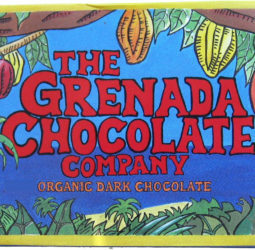 Grenada grows almost entirely Trinitario cocoa with a few Forasteros. It is somewhat mysterious how the same varieties of cocoa come out so different in different places. Grenada has clearly one of the strongest, richest cocoas in the world partially due to the super-rich volcanic soil here and the hot sun. Single origin cocoa bean chocolate is rare, especially when it is one of the best cocoas in the world! Along with careful, small-batch processing, Grenada’s cocoa provides our chocolate with a powerful, delicious and intriguing flavour.